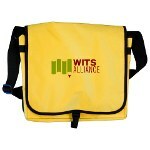 Again this year the WITS Alliance is proud to be a Literary Sponsor of the AWP Conference 2011 in Washington DC. If you are interested in starting or developing a Writers in the Schools program, WITS will be offering four days worth of activities to both assist and inspire you. We hope you will join us in DC. Here are the panel discussions. A complete schedule will be posted in the upcoming weeks. The partnership between working writers and classroom teachers is at the heart of writers-in-the-schools programs, but it’s only one of the critical partnerships required to make a program happen. Panelists from three organizations that have WITS programs will offer insights into the other critical partnerships that enable effective writing initiatives to thrive in schools, including relationships with board members, with funders, and with key decision-makers for school districts. We Were All Poets in the 3rd Grade: What Happened? WITS Writers will discuss their paths as writers and teachers, from when they fell in love with writing, how they were discouraged or made to feel anxious about the process, and how they subsequently came back to it. Investigating why K-12 students go from a willingness to engage creative writing (and all it entails: vulnerability, creativity, risk) to being afraid or indifferent, panelists will explore best teaching practices for re-engaging students and collaborating with classroom teachers. The New York City sidewalks of Frank O’Hara. The Idaho wilderness. A soul food restaurant in Indianapolis. Forget four walls; the most exciting writing in K-12 education is happening beyond the chalkboard. Writers and administrators from programs that teach writing to young people will talk about their experiences getting kids out of the box of the classroom to get out of the box with their writing. Writing outside the classroom takes us several easy steps toward helping students experience writing as fun, while anchoring good writing habits during time off from school and making parents very happy. This heady cocktail can allow these tuition-based camps to more than pay their own way, introducing a writing project and its creative programming in your area that can provide work for writers, and perhaps help launch a writers in the schools program. A legacy is emerging as WITS teachers develop college-level teaching and writing careers. How does WITS experience help writers get jobs as professors, and then shape that teaching? How does it nurture one’s own writing? How does the WITS commitment to underserved students change the teacher, so art profoundly connects to pleasure, gift exchange, and political activism? The panelists are professors who have taught in diverse settings and write poetry, fiction, nonfiction, and translation. The classroom in the movies is not the classroom we walk into. How do we shape who we are as teaching artists? How do create constructive boundaries with our students? How do we navigate gender, race, class and age with the students we teach? How do we prepare ourselves for this work? How can we respect classroom legalities and our students’ rights? This panel will address the above in an active discussion about the sensitivity and toughness needed to be a successful writer in the school.